Incorrect ladder use affects everyone. Just think about the last time you used a ladder at home. Perhaps it involved using a stepstool or stepladder to reach the top shelf of a cupboard. Maybe you used a stepladder to get a box out of storage or a single or extension ladder to clean your gutters. Ladders are used every day by millions of people around the world for simple household tasks, but are they using ladders safely? Ladder safety training isn’t just for those who use ladders at work; it is equally important for those who use ladders in their everyday life, which is just about everyone. After all, a ladder-related injury at home can have the same repercussions as a fall at work. 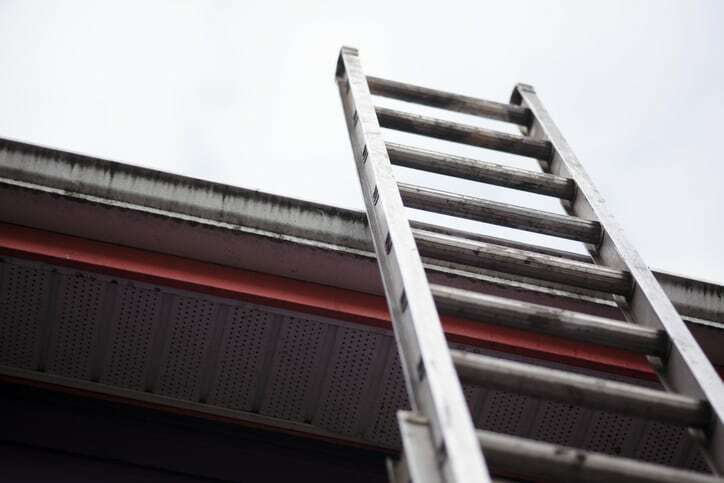 In fact, ladder use at home could be even more dangerous because home users are less likely to have formal ladder safety training and are more often than not working alone. It’s just you, the ladder, and whatever working knowledge you have of proper ladder use. Some tasks may seem too small for the extra attention to safety, but there is still a high risk of injury if the ladder is used incorrectly during tasks as mundane as changing a light bulb. Make sure you, your family, and your neighbors are fully equipped to use ladders at home this March by making ladder safety a priority and participating in American Ladder Institute (ALI)’s National Ladder Safety Month. National Ladder Safety Month offers free resources to help spread good practices at home like ladder safety training videos, safety posters, shareable graphics and more. You can also view and share these ALI infographics and this short video that highlights the top five misuses of ladders and suggestions for how to stay safe. An easy way to keep safety front-of-mind is to display one of ALI’s safety posters or a Ladder Safety Checklist near where your ladder is stored at home. That way, whenever you fetch your ladder, you’ll have a quick reminder of some key guidelines to keep you safe. Don’t fall victim to an easily-preventable ladder injury; take ladder safety seriously this month at work and at home. Enlightening Blog related to Ladder Safety, It is very important to use it in the proper way otherwise an accident can occur! It was very helpyful, Thank you!